This CaribSea Aragonite Marine Substrate is purpoefully engineered and recognized worldwide for its purity and precision. It is free of impurities such as ash, metals, pesticides, and silica which allows you to create a safe and beautiful environment for your Fish and Inverts. 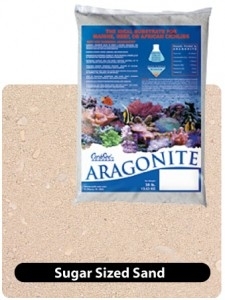 CaribSea Aragonite is a sugar sized sand and a ph buffer wih beneficial bacteria for your aquarium.